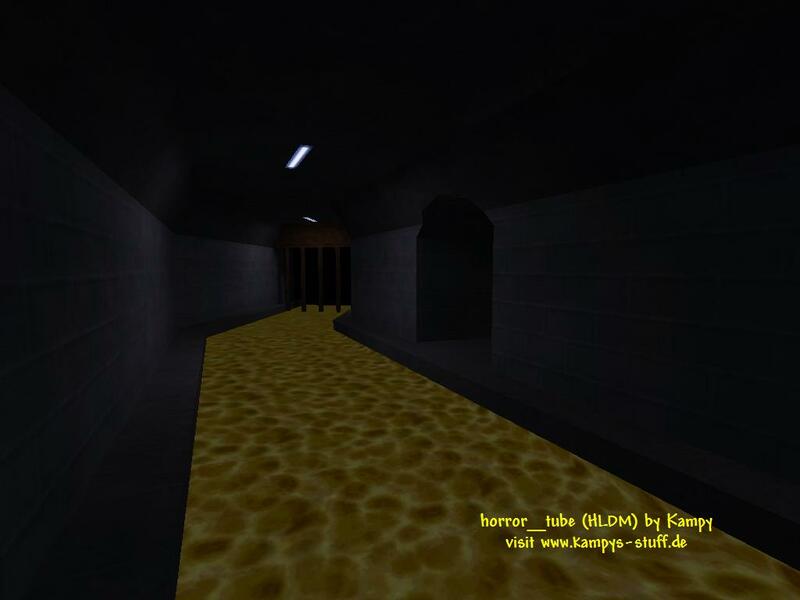 There are all Half-life weapons available in this map, although you need to be fast to get the glueon and the snarks: you have to push a button on the one side of the map and rush to the other side where a strong door to a supply room has opended. The door closes after a few seconds again. Another cool feature is the elevator which is rather fast if you compare it to other HL elevators - if it hits you you will be smashed. The grafic is far from making you say 'wow' but it looks alright and has a great atmosphere in my opinion. Horror_tube is pretty old so for the time it came out it looked very good. 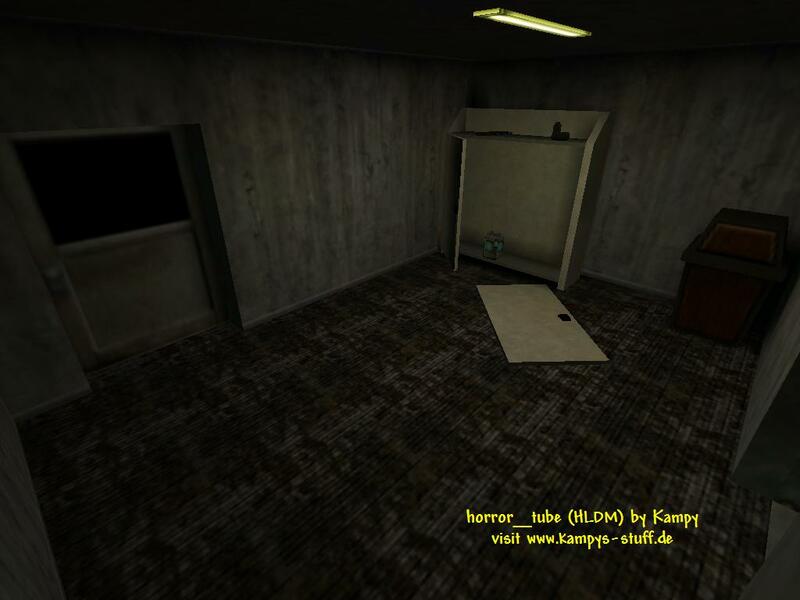 If you like tight fighting with lots of camping spots then horror_tube is the right map for you - give it a try! - at the shotgun near the ladders there are 4 crates 2 of which can be destroyed. there are gauss clips in it.